Teacher Training was one of the best decisions I have ever made in my life! Kacee and her curriculum prepare you to become a teacher, and play the lead role in your life. The foundations that you learn through her training will help you become more grounded in both alignment and philosophy. Teacher Training was a powerful experience everyone should have to deepen their practice. Citizen Yoga Teacher Training encompasses all aspects of what yoga means. We learn so much more than proper pose alignment and how to create good messaging for a class. We explore the philosophical underpinnings that make yoga more than just a workout, enriching movement with meaning. It was truly a journey of personal transformation that anchors my teaching and my practice. Citizen Yoga offers a Teacher Training that invites you to explore what drives you in life and the ways in which integrity, authenticity, and purpose can invigorate and guide your teaching style. You will learn the mechanics of yoga by exploring anatomy and pose sequencing that support alignment-based yoga. 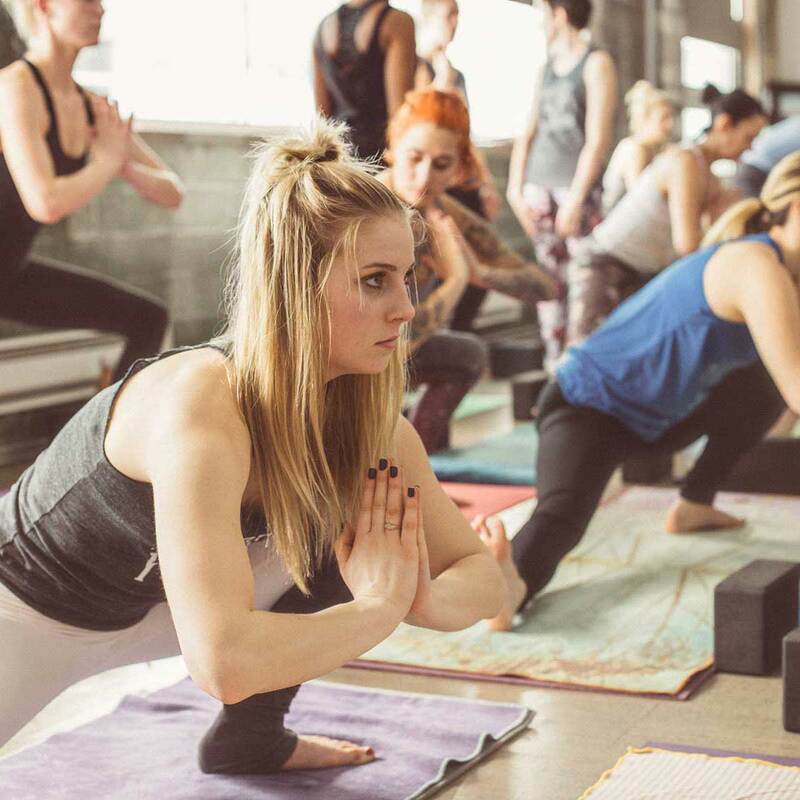 You will learn the overt differences between Slow Burn, Blend, and Vinyasa classes, as well as the nuances and subtleties that you can offer your students. Philosophy is woven into all aspects of the training; you will enjoy the metaphors between the practice of yoga and the world you live in — and, just as Citizen Yoga studios are community-oriented, your peers will influence your experience as you co-create with others to learn, grow, and teach. Kacee, and everyone who teaches at Citizen, has the utmost respect for the practice. With the team’s expertise in alignment, and background in philosophy, the CY teacher training is truly unmatched in the area. Even for those who don’t see themselves teaching the program, in my opinion, is the best way to deepen your practice in both mind and body. I am a different and better person because of it. Citizen Yoga Teacher Training is not a lesson in “paint by numbers.” It is an experience that assists trainees in mastering brush strokes, which they then use to become an artist of their own practice and in teaching. 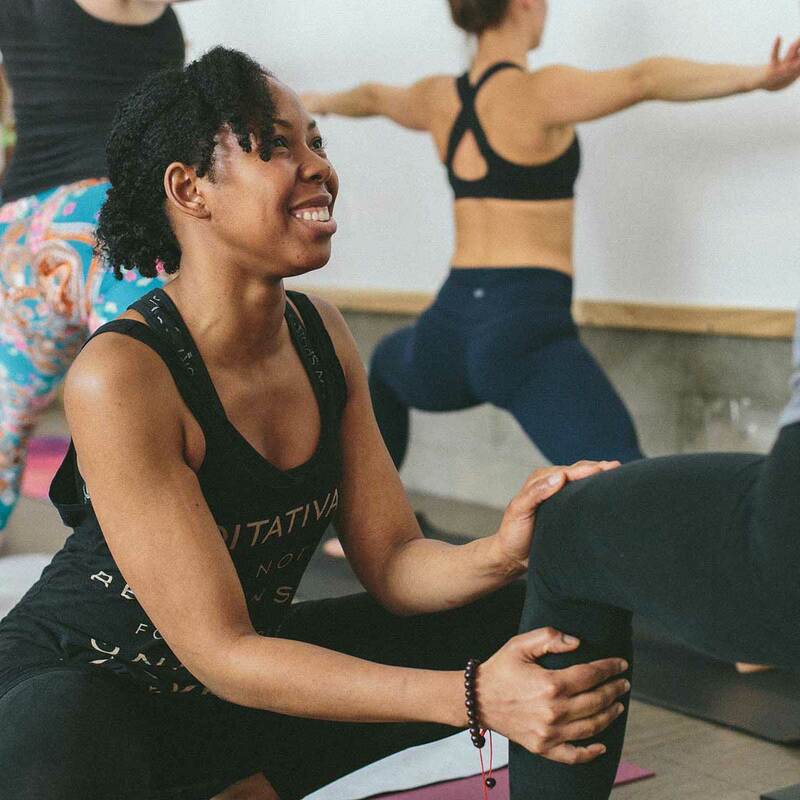 Citizen Yoga’s 200-hour RYT is a Yoga Alliance-certified program that encourages and challenges trainees to take the seat of responsibility in their lives. Based on a deeply evolved manual written by owner Kacee Must, the training brings students on a journey of self-development by helping each individual realize their potential as a speaker, communicator, and a teacher in all facets. Throughout the 15-week program you will learn anatomy, how to sequence and pace classes, how to effectively message, and the alignment principals of every yoga pose. Apprenticeship, like most forms of yoga, is based on the transfer of knowledge from teacher to student. The nine-week Citizen Yoga Apprenticeship program encourages each participant to continue to view the practice of yoga from a student’s perspective as they begin to step into the seat of the teacher. Apprentices will study, practice, and teach alongside a lead Citizen Yoga teacher to obtain greater insight about their own teaching abilities, gain confidence, awareness of holding space in the classroom, and refine their teaching voice. The 300-hour program will build upon and enhance the tools gained from previous trainings and experiences, in a way that recognizes a teacher’s potential to facilitate an educational and impactful class. This program aims to shift teachers from leading just an experience to an integrated educational class without losing dynamism. This shift indicates a pivotal point of growth in the career of a yoga teacher. After graduating from a 200-hour training you will have acquired skills and knowledge; the 300-hour program is designed to help you master your abilities and deepen the understanding of the methods, in order to become a more authentic and empowered teacher. When you are able to step into the seat of the teacher from a place of integrity and wisdom, you enable your students to deepen their learning and elevate their connection to the practice. Citizen Yoga’s 300-hour training is a Yoga Alliance approved program. You are certified as a 500-hour RYT upon completion. Anne Zemba, Alex Herman, Rachel Redmond, Giustina Easton and more!